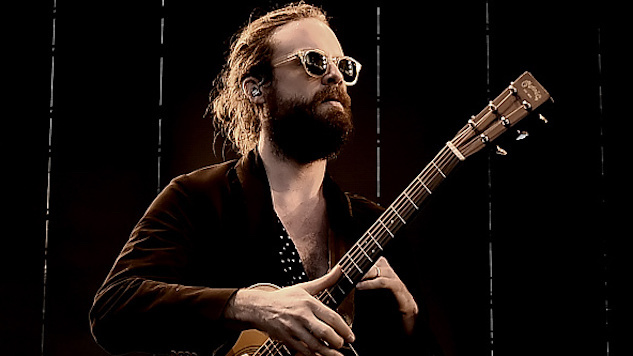 Father John Misty has come out of nowhere to release a trippy new tune. Misty recently debuted “Mr. Tillman,” a standalone single, at a live show in Tokyo, Japan, with the fan-made recording of the performance making its circulations through the internet last week. Now, the singer-songwriter has given us the official studio version of the song. In “Mr. Tillman,” Misty steps outside of himself to narrate the story of the character Mr. Tillman, as told by a hotel staff member. Mr. Tillman seems to be a caricature in some ways, a questionable-minded person who lives in his own world, leaving his mattress out in the rain after sleeping on the balcony and viewing the rest of the hotel clientele as extras in a movie, rehearsing lines. Needless to say, the hotel staff seem to be tired of this peculiar customer and his antics. “Mr. Tillman” follows the release of Misty’s celebrated 2017 album, Pure Comedy, an absurdly beautiful record that made Paste’s 50 best albums list for last year. His most recent album also gained him a Grammy nomination for Best Alternative Music Album and a win for Best Recording Package, to which the artist gave a hilarious response. Following the massive success of his last album, it looks like Misty is wasting no time in readying his follow-up, a “heartache album” expected to be released in 2018. Listen to the official studio version of “Mr. Tillman” (and watch its pseudo-video) below, then re-visit the artist’s 2012 Daytrotter Session beneath that.